Obituary for Walter J. "Bud" Wanke | Hartzler-Gutermuth-Inman Funeral Home Inc.
Walter J. “Bud” Wanke, 80, of Elkhart, died Monday, Nov. 12, 2018 at Elkhart Hospice House. He was born to the late Walter W. and Charlotte (Semple) Wanke on July 22, 1938 in St. Paul, MN. Bud was preceded in death by his brothers Dwight Wanke and Kenneth Wanke. He married Marceille “Marcy” Magnusen on May 2, 1965. They celebrated their 53rd Anniversary this year. She survives him along with their children, Michelle (Terry) Kern, Reed Point, MT, Shannon (David) Rybicki, Mishawaka, Kimberly (Matt) Denaway, Granger and Jill (Jared) Stork, Elkhart, grandchildren, Alix, Sydney, Megan, McKinzy, Mya, Madelyn, Addison, Brendon, Morgyn, Noah, Evan, great grandson Conor, sisters, Charlene (Pete) Smith, Kokomo, IN and Lois Ryder, Columbia, TN and many nieces and nephews. Bud worked in Computer Operations at CTS and retired from Raco, Inc. in South Bend in 1993. 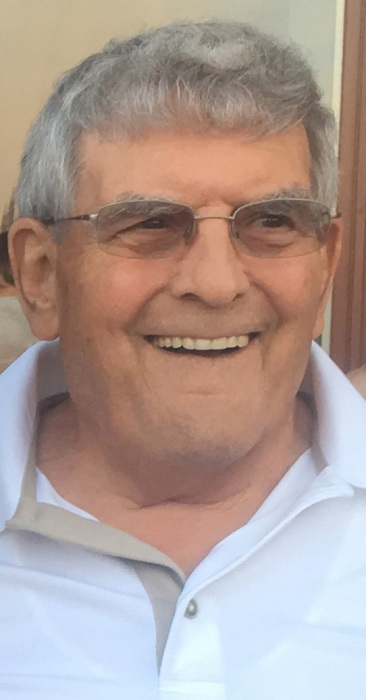 He was a U.S. Army Veteran and a lifetime member of Trinity Lutheran Church. He enjoyed fishing, flower and vegetable gardening, working outside, computers, and spending time with his family. Visitation will be held at Hartzler-Gutermuth-Inman Funeral Home on Monday, November 19, 2018 from 4 – 7 PM and on Tuesday, November 20, 2018 at 10:00 AM at Trinity Lutheran Church in Elkhart with funeral service beginning at 11:00 AM. with Pastor Christopher Davis officiating. Memorial contributions may be made to Trinity Lutheran Church 39888 CR 6, Elkhart, IN 46514 or Center for Hospice Care, 22579 Old US 20, Elkhart, IN 46516.